The History of Christianity faculty at Baylor examine and explore the rich expressions of the Christian faith across a wide variety of cultures, with a focus on the Reformations of the sixteenth century to the present. Our studies focus upon significant figures, institutions, and movements in the history of global Christianity, especially as it impacted and was affected by culture. Christianity is a World Religion and students will be exposed to many different approaches to the study of the history of Christianity, including the study of the institutional church, its theology and teaching, as well as intellectual, social, cultural, and gender approaches. Baylor is committed to teaching and learning the breadth of Christian traditions in the world. This area welcomes curiosity in all areas of the Christian narrative. The faculty is especially strong in Baptist Studies and Pentecostalism, World Christianity Studies, and the European Reformations of the sixteenth century. Area faculty include Drs. Doug Weaver, Carlos Cardoza-Orlandi, David Whitford, and Bill Pitts. 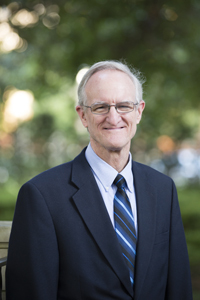 Dr. Weaver's research focuses on Baptist history and Pentecostalism. He serves as the Director of the J.M. 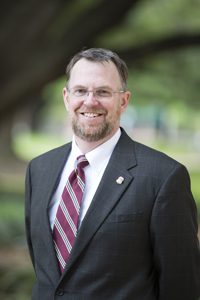 Dawson Institute of Church-State Studies; Coordinator of the Baptist Studies Center for Research; and President of the Baptist History and Heritage Society (2017-2019). Dr. Weaver was also the Past President (2018) of the National Association of Baptist Professors of Religion. 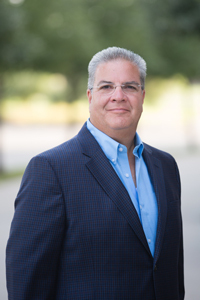 Dr. Cardoza-Orlandi's area of research is the transmission, reception, and appropriation of the Christian faith with particular focus on the global south. He serves on the Editorial Board of Missiology: An International Journal. Dr. Whitford's research and writing explores the social, cultural, and political impact of the European Reformations of the sixteenth century. He serves as Editor of The Sixteenth Century Journal and President of the Calvin Studies Society. Dr. Pitts' research interests include Baptist history and American religious history. Dr. Beth Allison Barr - History Department; Area of Research: Women and gender identity in medieval and early modern English sermons. Dr. Brian Brewer - Truett Seminary; Area of Research: The Reformation and post-Reformation periods of Christianity; sacramental theology within Anabaptist writings, Martin Luther's works, and that of other reformers in the sixteenth century and the subsequent Free Church movements. Dr. Barry G. Hankins - History Department; Area of Research: Religion and American culture; Protestant Fundamentalism and Evangelicalism; and Church & State in American History. Dr. Heidi J. Hornik - Art Department; Area of Research: Italian Renaissance and Baroque Art History. Dr. Philip Jenkins - History Department; Area of Research: Global Christianity, past and present; new and emerging religious movements; and twentieth century US history, chiefly post-1975. Dr. Kimberly R. Kellison - History Department; Area of Research: American South; Civil War and Reconstruction; and Religion in the American South. 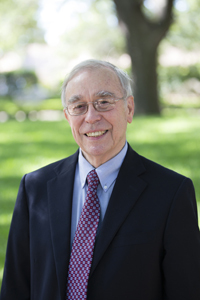 Dr. Thomas S. Kidd - History Department; Area of Research: Early America and American Religion. Dr. Joseph Stubenrauch - History Department; Area of Research: Focus on the intersection between evangelicalism and the transitions of modernity in Britain, 1780-1851. Dr. William Weaver - Great Texts Program; Area of Research: Renaissance Humanism, Early Modern English Poetry, Classical Tradition, and History of Rhetoric. Dr. David Wilhite - Truett Seminary; Area of Research: Patristics.